A fine portrait with exceptional details, Ton.V!!!! Prachtig portret. Volgens mij lag je plat op grond bij het maken van deze foto. ~V. Great that you were able to get so close, and you were rewarded with a wonderful image. "V"
Super, tack sharp close-up Ton. can't get any closer, superb tack sharp portrait! 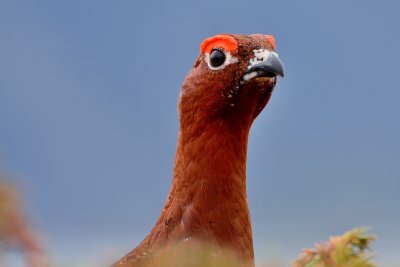 What a terrific closeup of this colorful grouse! V.